Here is a short list of startups we helped to succeed ever since we got started. Want to be next? Just talk with us! Uniplaces is the best marketplace for student accomodation with more than 30.000 verified rooms. Chic by Choice is a premium rental platform for luxury dresses. Currently present in 15 European countries with pieces from over 40 designers. Yoochai is a platform that allows brands to rent retail spaces for a short period of time (from 1 day to 1 year). They allow brands to test the market before committing to long-term contracts. Clickly is a technology that monetizes online content by automatically matching it to relevant advertisers through an interactive native ad system. ​ students to schedule tutoring services with the best tutors in Portugal. Surf Stoke allows you to organize, plan and share your surf sessions in seconds. eSolidar is a comprehensive social e-marketplace that provides a new and innovative way for charities to raise funds online. 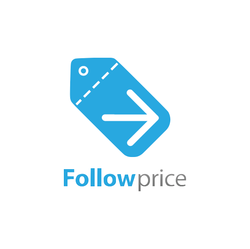 Follow Price let's you follow the price of your favorite products. Just save the products to your list and be aware of any price drops.